Cecilia Hillström Gallery is proud to present Martin Karlsson Tebus project NZME. 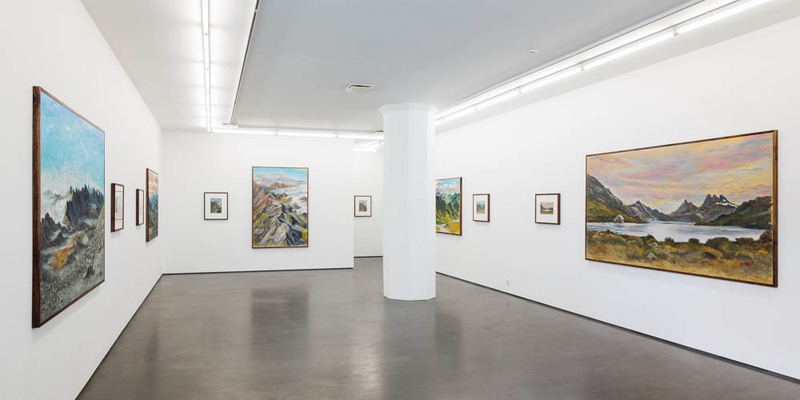 The exhibition consists of large scale landscape paintings and drawings. The drawings were made from low resolution photos from New Zealand found on the internet. Conceptually, the artist follows two parallel paths: investigating how an imaginative world relates to the real world, and at the same time exploring the creative process in depictive art. Since the premiere of the first Lord of the Rings-film, based on the novel by J.R.R. Tolkien, the shooting locations in New Zealand have taken on a new identity as an embodied fantasy, Middle Earth. For the sequels, the producers considered moving the shootings to places in Eastern Europe or Ireland. Protests were arranged in New Zealand proclaiming that “New Zealand is Middle Earth” (NZME). The real world had become synonymous with an imaginary world. 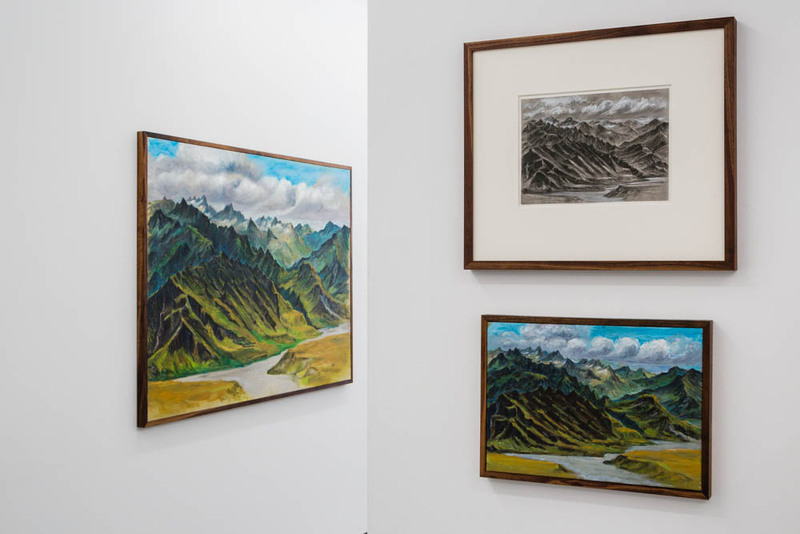 When Martin Karlsson Tebus made the first drawings for the NZME project they were meant as sketches for landscape paintings to be made on location in New Zealand. However, the trip was called off, and the project took a new turn. The paintings – and also additional drawings – were produced and started to live a life of their own, far away from the reality they were supposed to depict. The creative process became simliar to that of early landscape painters, who seldom worked outdoors. The genre of landscape painting as well as what we today call fantasy are important parts of the romantic movement and serve as starting points for the NZME project. It is an effort to present a documentation of the ”real” New Zealand and at the same time a description of a fictive landscape: Middle Earth as we know it from the films. 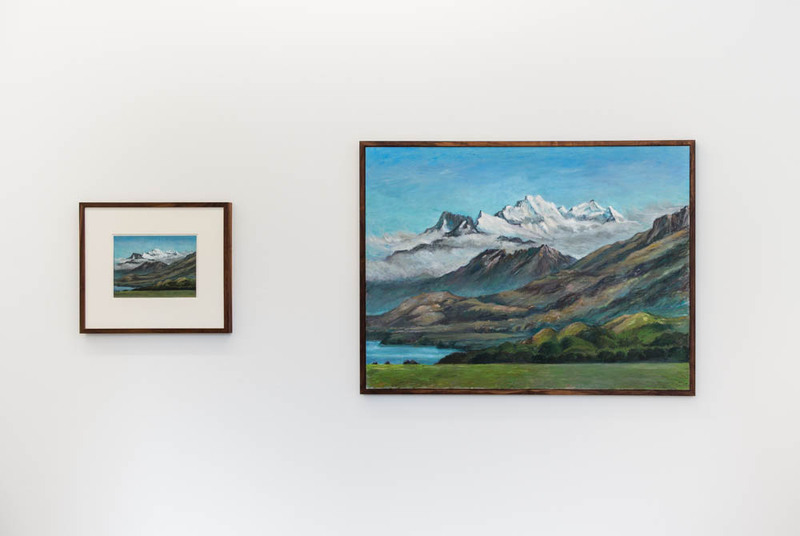 Despite an ambition to describe reality, the paintings by Karlsson Tebus have brought the idea of Middle Earth back to the tradition of romantic painting in which layers of interpretation and identification unfold an archeology of fantasy. © 2019 Cecilia Hillström Gallery, Hudiksvallsgatan 8, 2nd fl, 113 30 Stockholm, info@chgallery.se 46 707 646568.